Mirk, Shark Attack, Rizzo, BKT, Lexington, wedunneedbadgers, M2PT5 and others! **UPDATE 8/31/17** Fixed mega_mob_incoming.wav for L4D2. **UPDATE 8/23/17** Went back and redid the sounds specifically for L4D2. Should fix all of the random screeches this time! The zip file now includes a folder for L4D1 and L4D2. **UPDATE 9/22/16** Fixed the mega_mob_incoming.wav file (BONESAW IS READY!). Accidentally made it stereo years ago and it forced it to play really slowly. Whoops! **UPDATE 11/30/09** Youtuber M2PT5 fixed the L4D2 Bonesaw scream for me and I've included it in the update! This mod replaces most of the infected sounds (including the "mob scream") with phrases from former professional wrestler Macho Man Randy Savage. It was originally released for the first Left 4 Dead, but it was found to work just fine with the sequel, Left 4 Dead 2. This mod replaces most of the infected sounds (including the "mob scream") with phrases from former professional wrestler Macho Man Randy Savage. Most everything except for pain, death, and female voices have been replaced. Female infected may still scream Randy Savage stuff, but that's just the way it goes. **UPDATE 8/31/17** Fixed mega_mob_incoming.wav for L4D2. **UPDATE 8/23/17** Went back and redid the sounds specifically for L4D2. Should fix all of the random screeches this time! The zip file now includes a folder for L4D1 and L4D2. **UPDATE 9/22/16** Fixed the mega_mob_incoming.wav file (BONESAW IS READY!). Accidentally made it stereo years ago and it forced it to play really slowly. Whoops! **UPDATE 11/30/09** Youtuber M2PT5 fixed the L4D2 Bonesaw scream for me and I've included it in the update! **UPDATE 11/19/09** Works in L4D2, but has some minor screeches and the "Bonesaw is Ready!" scream plays way too fast. Will correct these problems ASAP. **UPDATED 10/29/09** WORKS IN L4D2'S DEMO! Tested with the L4D2 demo and also did sound length and file size comparisons with L4D2 to see if the sounds would still match up. They do and it works just the same as before! **UPDATED 9/19/09** Fixed a pesky screeching bug with the "BONESAW IS READY" mob scream. **UPDATED 4/19/09** Fixed sound lengths and screeches. 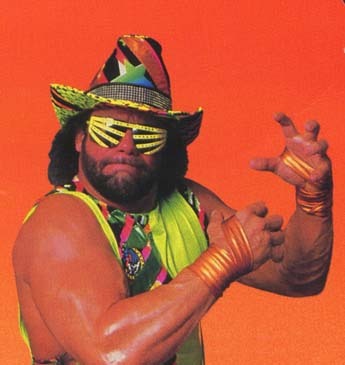 Also added new Randy Savage quotes. Installation instructions are included in the zip file. Enjoy! Whats wrong with your FACE? What is wrong with people, this is a stupid mod, and shouldnt be allowed on here. Your FACE shouldnt be allowed on here. Chill man, this is funny as hell. LOl , I havnt signed into moddb in like a year but, I just had to sign in to comment on this cause its just to good. I dont even have L4Dead but once i get it im so gonna get this mod.. "Step into Slim JIM!" hahah love it! This is the greatest thing ever. You, sir, are a true gentleman. This addon is THE ****. This is one of the greatest, yet simple, mod package to ever been delivered to a game. Amazing, fantastic. Guido, you are a genius. This is probably the greatest thing that will come out for L4D until the SDK. This simple sound pack has destroyed the old me and replaced it with a man prepared for the Macho Man Apocalypse of 2012.
i lol'd all over myself. i think it stained my shirt. I registered just to comment on this mod. Its so simple, yet so brilliantly clever. Very funny. If you are a fan of Metalocalypse, I suggest you make a Dr Rockso version. Imagine all the hordes of infected spouting Dr Rockso quotes? "I hear its somebodys birthday!" "Me casa su casa bibibaby!" "Which one of you homes gotta cigarette for Dr Rockso?" You, sir, are a gentlemen and a scholar. This is absolutely top drawer! I've Been Too The Top Of the Mountain! I cannot wait to try this, I couldn't even finish watching the video because I was about to **** myself. Wow. Just wow. Greatest. Thing. Ever! Hey! Awesome stuff man! Could you upload it to l4dmods.com? Now the zombies are Scare like Hell!!! I have to say that even though sound packs are all over the place now, this one is still my favorite. Join Steams Moddb group now! Go to Steamcommunity.com , So far 530 members and climbing so join today! Awesome mod, it just seems to me they are for some reason sounding just a little too soft and it must be the game mixing that's to blame. I'm using this on L4D2 I haven't tested it on L4D yet but watching the video it seems it should be a whole lot louder. I already maximized the volume of the files with some (good) sound processing and it didn't do much in-game. If you want I could straighten out all the files to have more or less the same sound/volume, there's a few 'bad' ones in there.